This is elobf article #1,481 and today is Saturday 2nd February 2019. It's also Groundhog Day and a whole decade since elobeatlesforever (elobf) was born in 2009 with our first article (oddly enough) entitled Beatles Forever! So much has happened in the elobf universe in the 3,652 days and 120 months since. 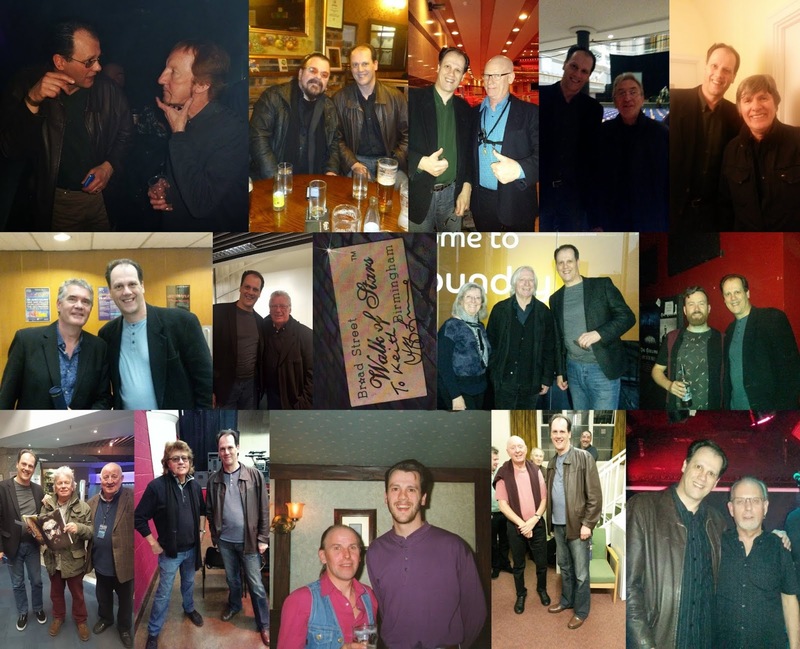 Gig reviews, album reviews, interviews, loads of vinyl issues and not a few exclusives (thanx to some amazing pals and reliable sources in the biz). Amazingly, the number of visitors to elobf went over the three (3) million mark on Tuesday 23rd October last year and we are now (hopefully) on the journey to four (4) million views. It's all thanx to you! A lot has happened in those ten years. Yours Truly KJS has been asked on a number of occasions recently as to what happenings stick out. It's impossible to detail it all but obviously the 2LP release of "Secret Messages" would have been the icing on the cake if it had included "Beatles Forever". 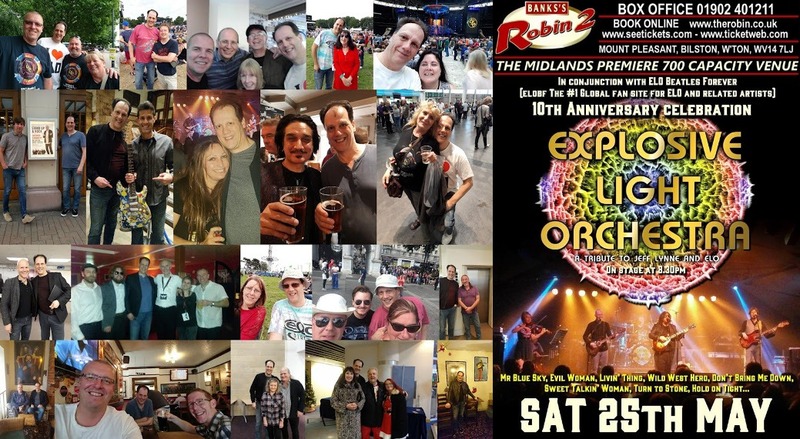 Highlights undoubtedly were being backstage with Roy Wood and Rick Wakeman at Rockmas 2014, seeing Paul McCartney live at Birmingham in May 2015, watching ELO maestro Jeff Lynne perform on stage for the first time at Liverpool in April 2016 and experiencing Tom Petty at Hyde Park in July 2017 amongst many more. Losing Kelly Groucutt in those early elobf days also comes to mind as does the tragic passing away of Mike Edwards, Pete Haycock, Wilf Gibson, Mike Burney and Hugh McDowell in the ensuing years. It's been a pleasure introducing regular elobf readers to not a few local, national and international ELO/Beatles influenced indie artistes whilst supporting not only former members of ELO & ELO Part II in their endeavours and covering the ever increasing number of ELO (and related) tribute bands as the music of Jeff Lynne is discovered and/or rediscovered by the masses "All Over The World". I'm also very grateful for the support and courtesy extended to me by ELO co-founders Roy Wood, Bev Bevan and a whole host of musicians, artistes and their management. It's been a blast despite some negatives from people and organisations who should know much better and those infernal internet trolls. 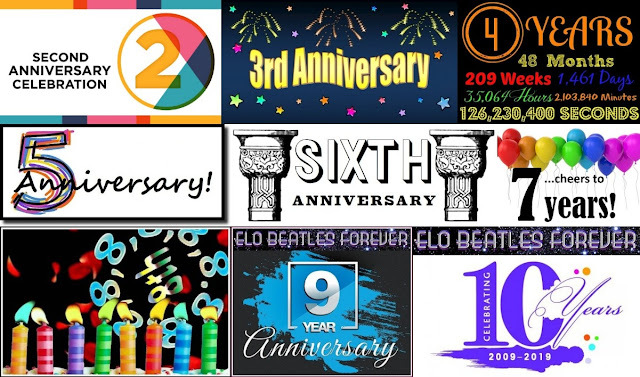 Yours Truly KJS hopes that you enjoy the content and variety within elobf and would like to thank each and every visitor, reader, follower and participant of elobeatlesforever (elobf) for journeying here. Every click really is appreciated! Congratulations Keith , You bring great joy and much info in your posts that we all love , Long may you continue and let's get going for the next milestone , Happy 10th Anniversary ! !